"FAY" is an outgoing girl with a happy attitude,with a strong love for life that shows in all she does. She moved in here like she had been here all her life and never looked back. 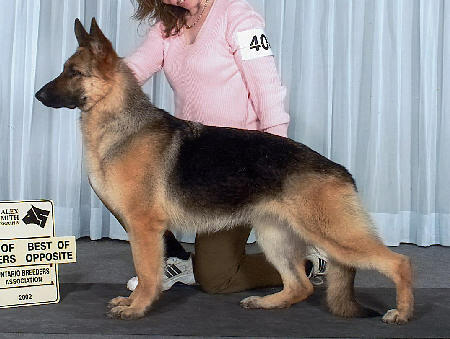 Fay comes from bloodlines very well known for their temperament, trainability and longevity. We are very proud to make her a part of ShadowValley breeding program.